If I have any criticism of the brilliant Netflix series The Crown, and really this is getting petty, but the brooches on Queen Elizabeth II are a bit wimpy. They just don’t have anywhere near the oomph of the treasures Her Majesty wears routinely in real life. In the new BBC documentary The Coronation, the Queen herself demonstrates exactly what I mean. On her royal blue dress, the 91-year old sovereign sort of casually wears her epic brooch set with the square-cut 63.6-carat and the pear-shape 94.4-carat Cullinan III and IV diamonds. Oh, sure she might have put the piece on because there is a link to the royal regalia, that plays a major part in the program, but still she wears it with such ease. She delightfully refers to the diamonds as “Granny’s chips.” The nickname references the fact that it was one of her grandmother, Queen Mary’s favorite jewels. “Chips” is a reference to the smaller stones that came out of the 3,106.75-carat Cullinan, the largest rough diamond ever discovered. Seeing the Queen wear the Cullinan brooch is reason enough to tune in. Actually, there is countless reasons to watch The Cornation. 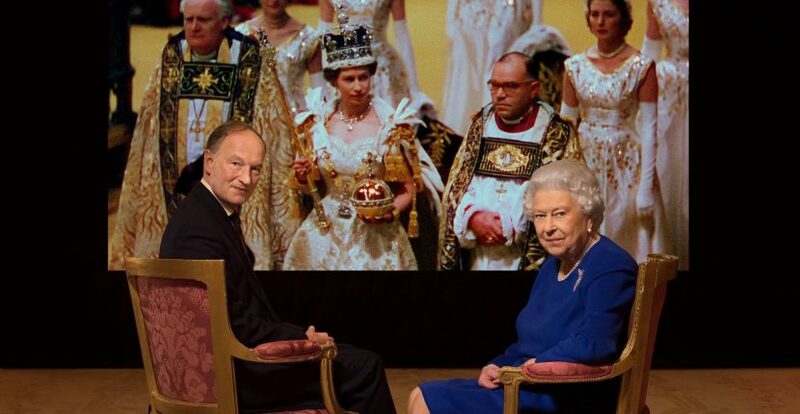 The documentary marks the first time ever the queen has been filmed talking about her June 2, 1953 coronation and she is honest about the highs and lows of the day. She says, her ride to Westminister Abbey from Buckingham Palace in the Gold State Coach was bumpy and a bit uncomfortable. When it comes to the regalia worn during the coronation, the Queen really is original in her perspective. I mean clearly, she is the only person alive who has worn the historic jewels. 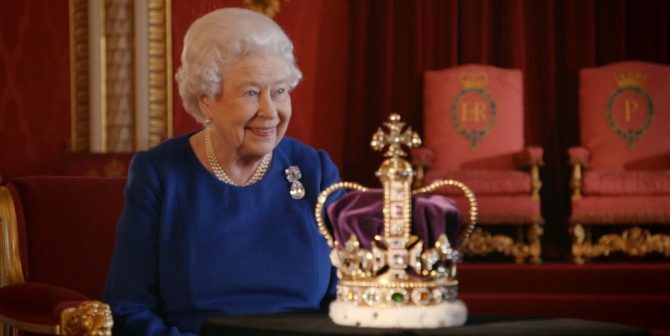 She looks at St. Edward’s Crown, a 13th century piece that has been used in coronations for hundreds of years, that she has only worn once during the ceremony and remarks how solid the gold is. When the Imperial State Crown is put in front of her, however, she has quite a lot to say. 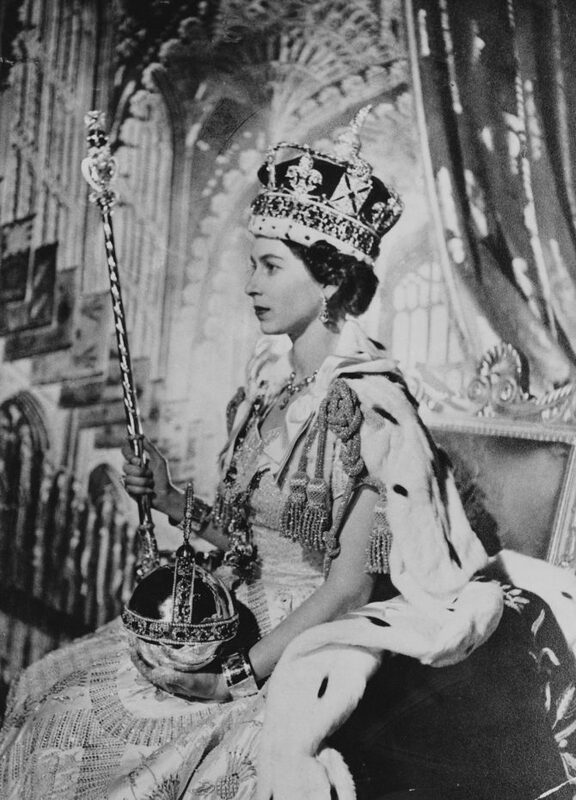 Not only did she wear the jewel during the coronation, she also puts the piece on during every opening of Parliament. She reviews the fit, how she gets it on her head and the fact that, because it weighs a few pounds, it’s not comfortable to wear. 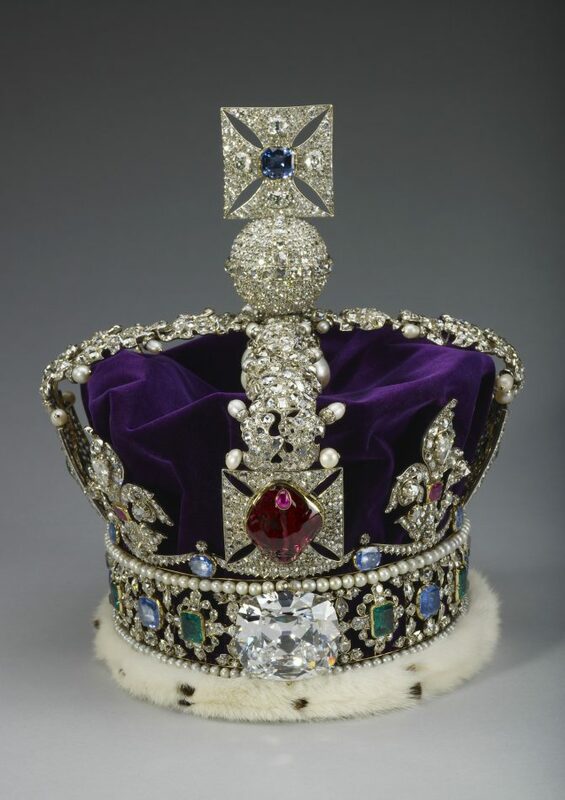 She talks about the 317.4-carat Cullinan II diamond in the Imperial State Crown and the history of the cutting of the stone. 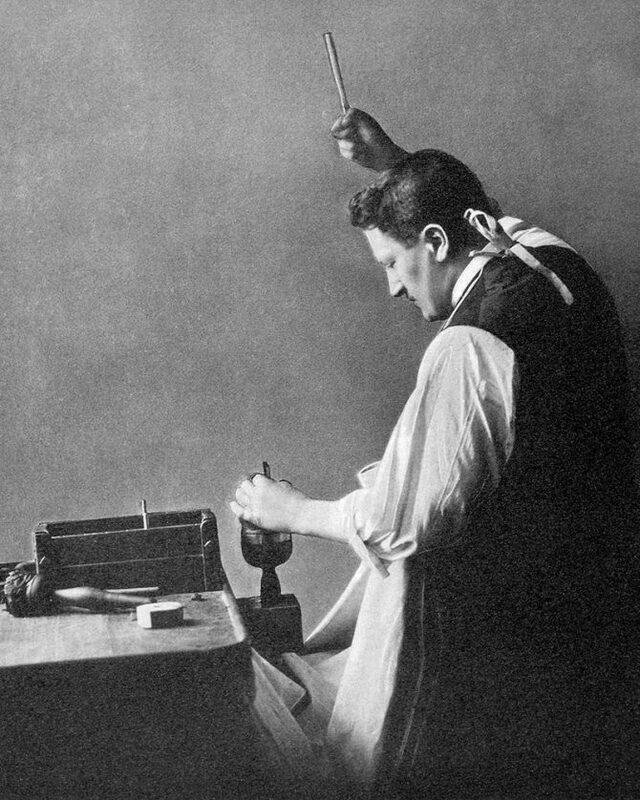 The way she retells the legendary tale of when Joseph Asscher cleaved the 3,106.75-carat rough diamond is priceless. After studying it for weeks and then finally making the initially strike to break it in parts, he fainted. Then, she almost unbelievably has the Cullinan in her brooch say hello to the Cullinan in the crown. 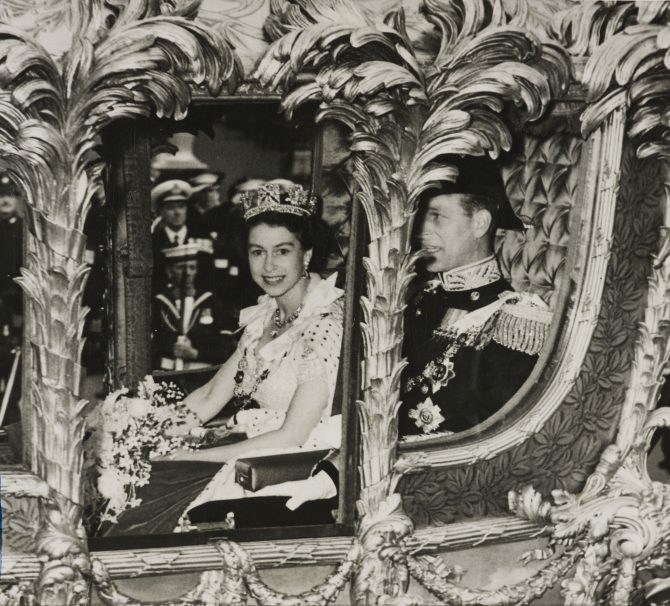 The Queen clearly loves the jewelry and says so herself when she states, “the more jewels the better.” Her anecdotes on wearing the pieces for the coronation are delightful and the BBC fills in the details on the extraordinary histories. One of the most fascinating parts is how the collection was secretly stored at Windsor Castle during World War II to protect it from the Nazis. The biggest stones were even taken out of the settings and put in a biscuit tin in case they needed to be quickly taken away to safety. The Queen doesn’t look as though she quite believes the newly uncovered story, she was very young during the war and “told nothing,” but the royal historian has the paperwork to prove it. All in all, The Coronation is a brilliant behind the scenes view and historical review of the regalia. To see the program, check the Smithsonian Channel’s schedule.